Why own a house when you can have a HOME? WHAT A FIND! Not another stately home like this one! 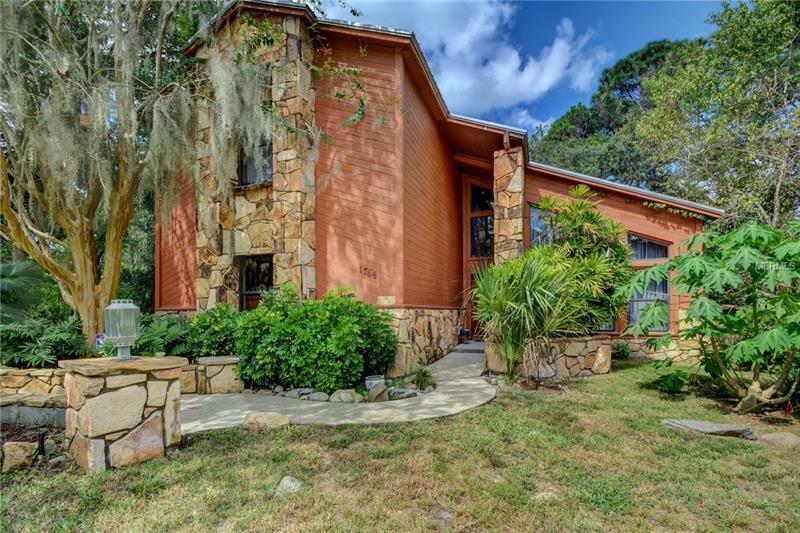 Amazing custom overbuilt 3/3/2 home will “WOW” you. Drive to the end of this secluded cul-de-sac and you will be “DAZZLED” as you see this masterpiece on a gentle sloping hill! Walk up to the grand entrance and you will appreciate all the magnificent stone work and unique designing and engineering that has gone into creating this warm, welcoming retreat. As you enter you will be greeted with a majestic open feel created by multi-level rooms and unique textures that captivate your attention. You will notice the outstanding sunken living room, elevated dining room, elaborate stairwell, centrally located massive stone fireplace. Beautiful Saltillo tile will beg you to remove your shoes and to feel the cool luxurious tile under your bare feet on those hot summer days. Look closely and you will find the sought after paw print tile throughout. Natural light and fantastic skylights can be found in this bright and airy home. Massive sliding doors lead to your multi-level private deck that borders a conservation wetland surrounded by a beautiful native natural wooded paradise. No detail has been spared when building this grand home even down to the beautiful tile window seats, breathtaking tile countertops with solid wood cabinets, large walk in closets, tons of space and storage, even a laundry chute. Upstairs you will find a massive loft with split bedrooms with remarkable views that create a tucked away feel.